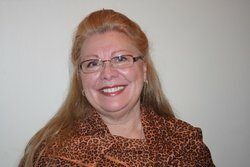 Trudy Genova has the best nursing job, working as an onset and script medical consultant for a Manhattan movie studio. No more uniforms, night shifts, or real emergencies. That is, until a soap opera actor Trudy has a tense relationship with dies suddenly while taping a hospital scene—but not before pointing his finger accusingly at Trudy. Detectives Ned O’Malley and Tony Borelli view Trudy as a suspect, and in an effort to prove them wrong, Trudy interferes with their investigation. Then a second actor dies, and Trudy realizes she’s put herself right into the path of a killer. Marni Graff had a successful career as a registered nurse who wrote on the side before writing full time. She has a degree in English Lit and studied Gothic Mystery at Oxford University in England. She also wrote articles for Mystery Review magazine, where she interviewed many of the authors whose work she admired. Marni is the award-winning author of The Nora Tierney Mysteries, set in England. The Blue Virgin introduces Nora, an American writer living in Oxford. The Green Remains and The Scarlet Wench trace Nora’s move to the Lake District where murder follows her. In process is The Golden Hour, set in Bath, England. 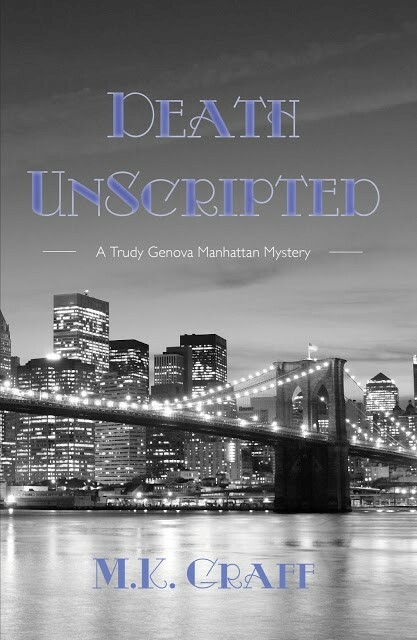 Premiering in the next few months will be Graff’s new Manhattan series, Death Unscripted, featuring nurse Trudy Genova, a medical consultant for a New York movie studio. This new series is based on Marni’s favorite nursing job in real life. Marni is also co-author of Writing in a Changing World, a primer on writing groups and critique techniques. She writes crime book reviews at Auntie M Writes and is Managing Editor of Bridle Path Press, an author’s cooperative. A member of Sisters in Crime, Marni runs the NC Writers Read program in Belhaven which allows writers experience reading their work out loud and getting immediate feedback.